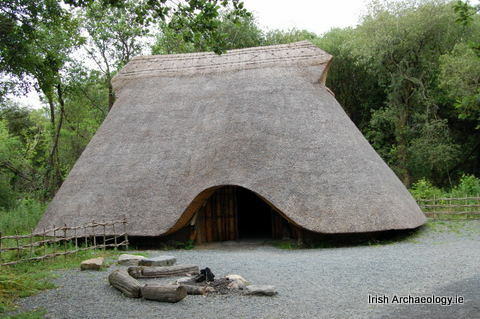 Reconstructed large Neolithic Irish House. Note: the elegant roof line and vents on either gable to remove smoke from the central hearth via the strong cross draught the opposite openings created. 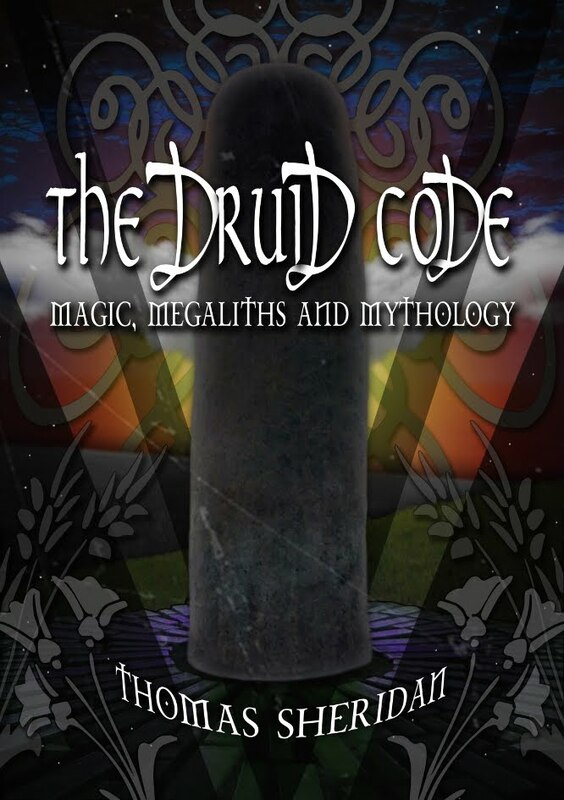 As we now know, the image of the ancient Irish, Picts and Britons as basically biped apes, while the Romans were modern and civilised, is simply racial and cultural propaganda created and perpetrated by Victorian college professors and later on, the British Israelite movement. The notion being put 'out there' that before Roman Laws and especially before Christianity, was exclusively, that the native Europeans were simply backward and animal-like primitives. Only in the last twenty years has their been a sea change within academia to revise these prejudices towards more historically accurate portrayals. Among these developments is the on-going research and discovery into building types that were used outside the Roman empire. Wood decays with climate and time, and the Irish, Britons, Saxons and Norse all built their towns for the most part in wood. When wood was scarce, such as in the wind-swept Orkneys, and stone was used, as at Skara Brea, remarkable engineering and construction sophistication is clearly evident. However, the use of stone for buildings was rare as high quality wood was much more readily available from the Alps to the Arctic Circle. Hence, why there are little or no great pre-Roman cities and large public buildings remaining in northern Europe, apart from their foundations which can still be uncovered. However, these structures did exist and only now - starting on a small scale - are archaeologists beginning to understand just how potentially magnificent northern European heathen architecture may have been. Rather than just circular mud and straw huts, a picture of elegance and stylish buildings is finally emerging. Small Cluster of Iron Age buildings at the Irish National Heritage Park. Imagine what Tara may have looked like in its heyday with even larger and more elegant structures. There is much evidence of large halls and other structures at major pre-Christian sites such as Tara in Ireland, and Uppsala in Sweden. Rediscovered Iron Age and later wood-built urban landscapes are being unearthed all the time. 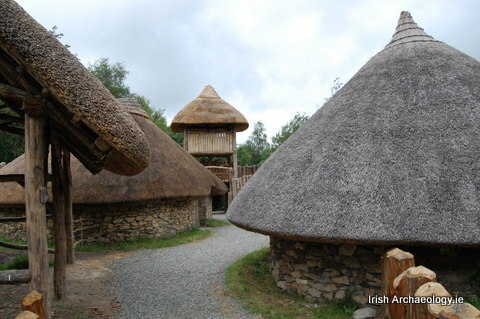 Thanks to the work of reconstruction archaeologists at locations such as The Irish National Heritage Park in County Wexford, an image of elegant and impressive wood and thatch buildings is beginning to finally emerge, and which is slowly recreating the almost 'enchanted' urban landscapes of Northern Europe from the Neolithic Period to the Dark Ages. 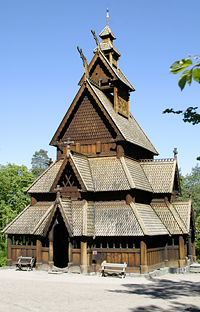 Early Christian Churches in Scandinavia give a good impression of the kind of large structures built by Viking communities. Try to imagine these communities of impressive wooden structures, halls, temples and homes clustered together in clearings between the immense old growth forests of Europe and many linked together by a complex network of wood roadways built wide enough for two chariots to pass one another at speed. The occupants of these communities dressed in lavishly coloured fabrics of natural pigments and adorned with jewellery of the most intricate and complex patterns and designs. Then families retreating to their homes at the end of the day to gather around a central hearth fire and create magic, poems and legends which danced among the embers and sparks. People with no desire to cross continents and force others to live under their ways. It is a long way from the garbage they taught us in school. A very long way indeed. Right. Here in USA we live in modern mold houses. I mean plastic wrapped so tight the black mold grows so bad it kills. And anove It says "Early Christian Churches in Scandinavia give a good impression of the kind of large structures built by Viking communities. ".The word Viking is confusing. We in the USA think of Vikings as tyrants. Slave owners. Murderers. I would think " Norsk" is a better word.